This was a recommendation I had from both locals and visitors alike, and I made sure it was securely locked into my itinerary, because brunch happens to be my very favorite meal to eat. It is Mediterranean-inspired food at it’s finest, and I had the Paella as a main dish, which definitely was amazing. BUT. The waffles?!!!! OMG. I am so thankful for my sweet server for recommending that I start with the waffles, along with a perfectly crafted lavender latte. 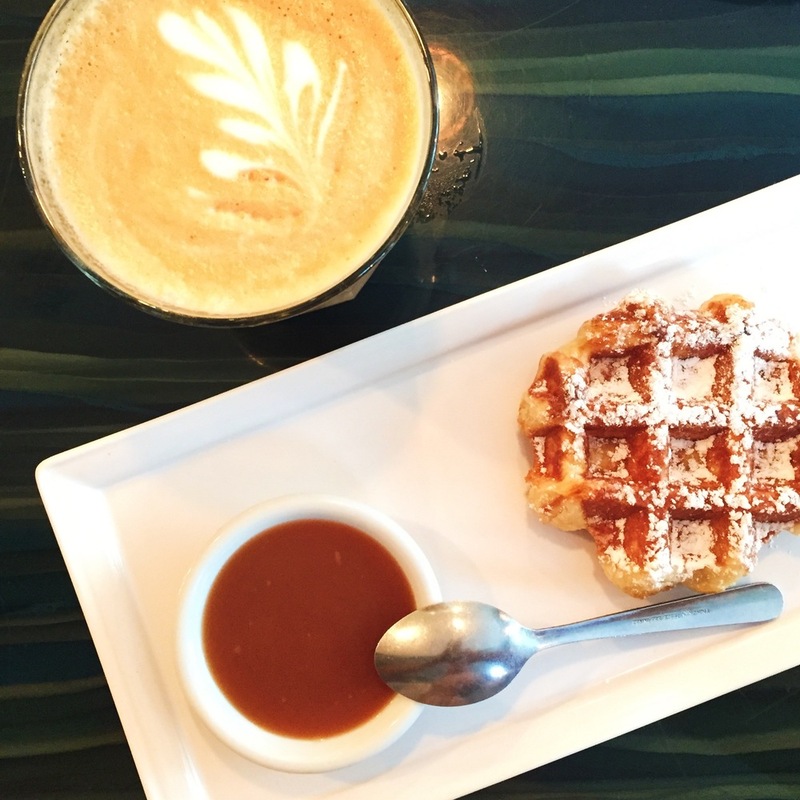 The Belgian waffles are paired with your choice of dipping sauce (I chose salted caramel), and they will make you slap your mama— in the most positive way possible. Another place that came highly recommended, Edible Canada, is the place for lunching or brunching while visiting Granville Island. 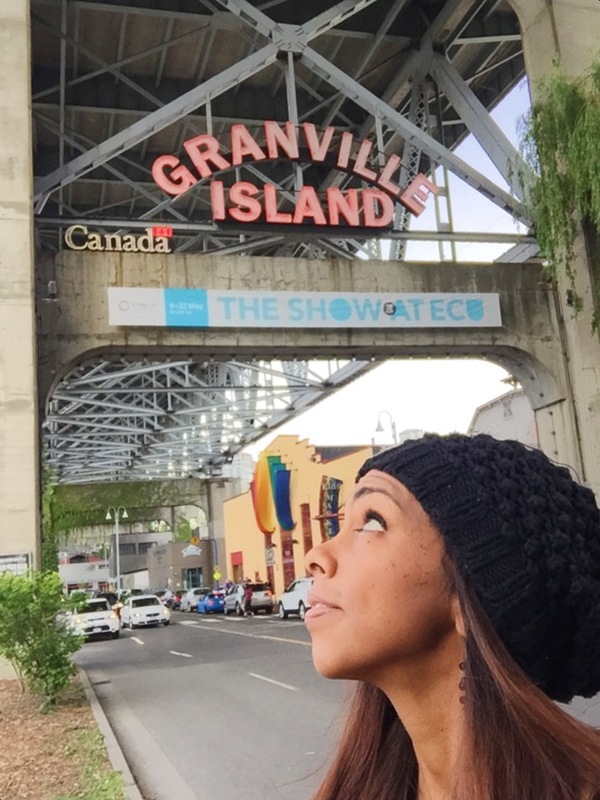 For starters, Granville Island is such my jam in every possible way. I loved my afternoon here. This super cute bistro serves Canadian cuisine using local products, and also includes the best gourmet retail store to take home a few souvenirs for friends. It was here that I was introduced to Poutine, a Canadian specialty. My brunch/lunch choices are usually a little more American-standard, but this was the dish that came highly recommended, so I figured “when in Canada…” I will tell you this— I was impressed. 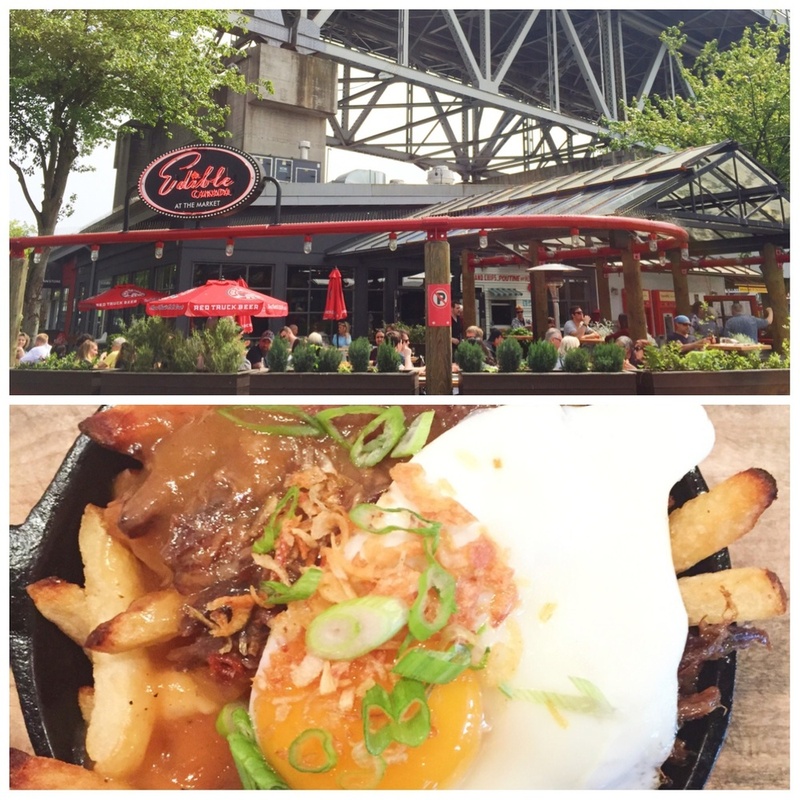 I have no idea how braised oxtail, Quebec cheese curds, gravy, sunny eggs, fried onion, and duck fat frites go together so perfectly, but they do. They just do. This is Vancouver’s definitive destination for seafood, with numerous and awards and accolades, so you know you’re going to be getting the best of the best. I saved this treat for my last night in Vancouver, and I certainly treated myself to a seafood extravaganza. With the recommendations of my lovely bartender, I spent a good 2 hours exploring the menu as best I could, and I will concur, that this some of the best seafood I have ever had. 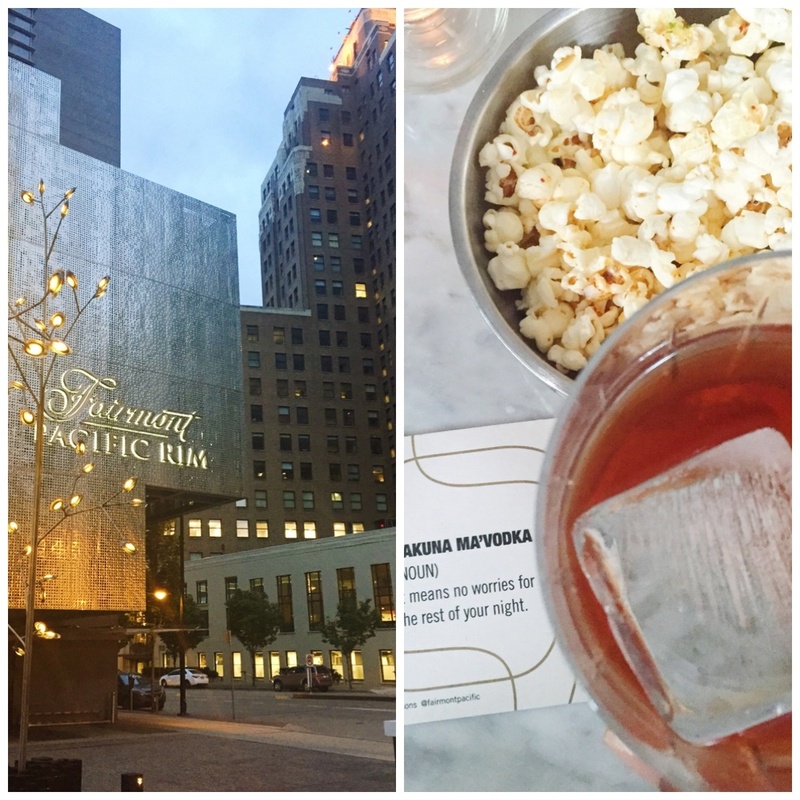 This is the hottest spot in town to have some delicious cocktails, accompanied by some stellar live music. Supposedly they knock it out of the park with their sushi menu as well, but I won’t be able to comment on that part, as I came stuffed. I did really enjoy my hand-crafted cocktail though, and the music the night I was there was lovely. One of my favorite things to do in a city that has an amazing food scene is to do a food tour. It’s a bit touristy, but it’s the best way to meet and interact with other people, as well as learn a bit about the city while you do a fun activity— EAT. 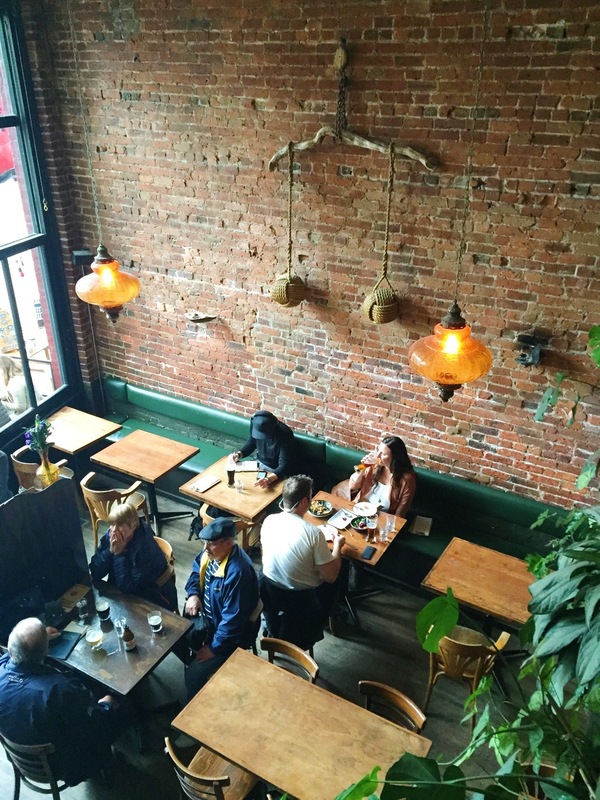 I chose their Gastown Gastronomic Food Tour, as I was interested in learning more about Vancouver’s oldest neighborhood, and visiting some of the restaurants in this part of town. This tour had some amazing food pairings, and included some of the best pizza I’ve had outside of Italy! Nicli Antica Pizzeria is a VPN certified Neopolitan Pizzeria, and if that means nothing to you…eat there anyway. This coffee shop was such a great find! The “Kits” neighborhood, as all the cool kids refer to it, already won me over with its hip, urban feel from just walking around. Once I settled into this coffee shop for an afternoon for work, I was quite content with my surroundings. 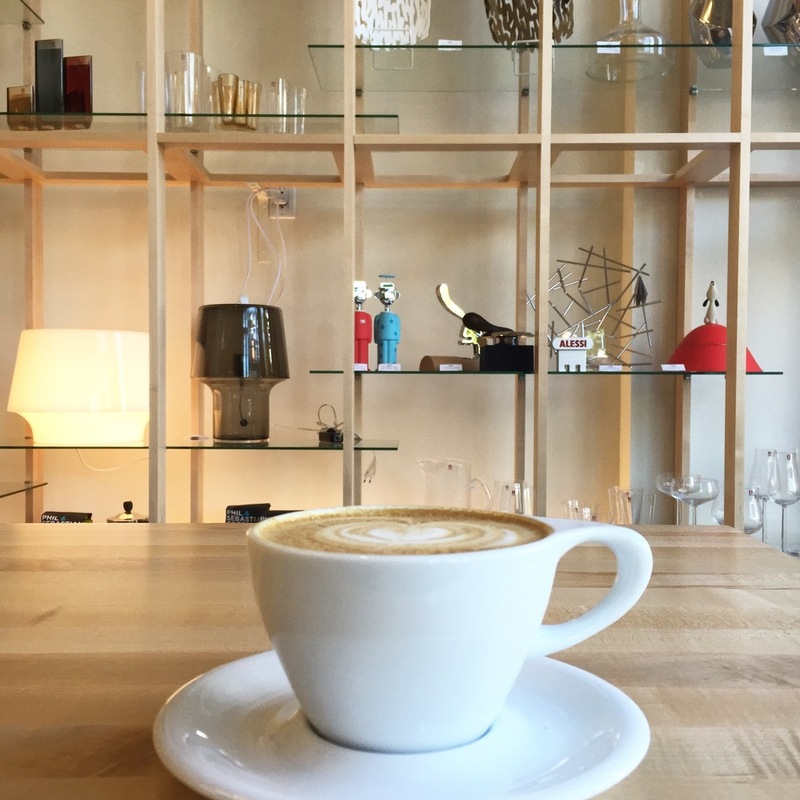 The ambiance here is amazing, and the coffee is top notch. To make a great afternoon even better, they happened to be hosting a coffee tasting by Phil + Sebastian coffee roasters, who I actually am familiar with! It was like the caffeine jackpot. I learned about this lovely spot on the food tour above. This is a champagne and dessert bar, which is pretty much a combination that dreams are made of. They do not just serve dessert here, they create works of art. It’s literally almost too pretty to eat, but then that would be a crying shame to just stare at such deliciousness, so I definitely ate it. I tried the Broken Peanut Butter & Milk Chocolate Bar, with caramelizedbanana and popcorn gelato, and paired that with a champagne cocktail. Heaven. Would you like to eat your way through a city? I can help you do that…and more! Contact me to discuss your options.